The ability to remain self-sufficient in one’s own home is so very important to the elderly or people with a disability. Medical monitoring and alert systems help people maintain their independence with help on call at the touch of a button. Emergency pendants can be worn around the neck or on the wrist. 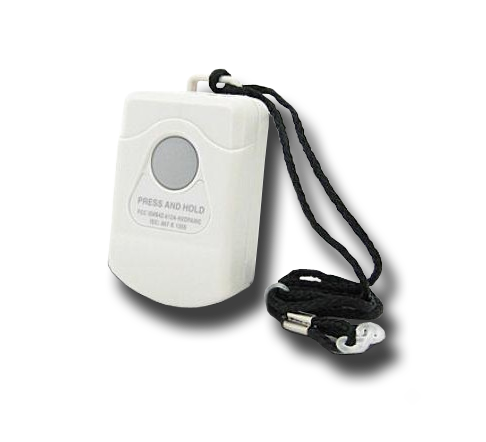 They have easy-to-use buttons that can be pushed in the event of emergency. A base station detects the call, and uses a speakerphone for communication to emergency personnel. Innovative monitoring technology has expanded the capabilities of in-home systems. Motion sensors can record when a loved one gets out of bed. Then, electronic reports can alert family to any changes in routine. Home health monitoring systems can use telemedicine technologies to monitor implanted cardiac devices, glucose levels and more. GPS systems can monitor the movement of Alzheimer’s patients. Medical monitoring and “smart home” systems improve quality of life for your loved ones and give you peace of mind knowing that they are safe and secure.